Presidential Election Predictions, Are They Accurate? Presidential election predictions are tough. We are often asked to predict the future in politics—especially when it comes to who will win an election. However, being a political consultant does not always mean being the best judge of what will happen on Election Day. We are determined to help our candidates win, and that can make us less objective in predicting electoral odds than we should be. In other words, wanting to win is not always a predictor of actually winning. But it is tough to make presidential election predictions, and they are not always accurate even when they come from people who say they are the experts. Every four years, many of us turn to academic models that predict the presidency. Some of these models are more predictive than others and have worked well over the years. Others have missed the boat a few times, making it clear that being an academic does not guarantee success in election forecasting either. With the current changing landscape of politics and the polarization of our political dialogue, it makes sense that past predictors of elections in the past may not hold true today. Below, we list some of our favorite and not-so-favorite presidential election predictions models so that you can take a glimpse into the crystal ball ahead of November 8. Happy election forecasting! *Note: Many of these models update in real-time. These numbers are a snapshot of what we saw across the models on Friday, November 4. 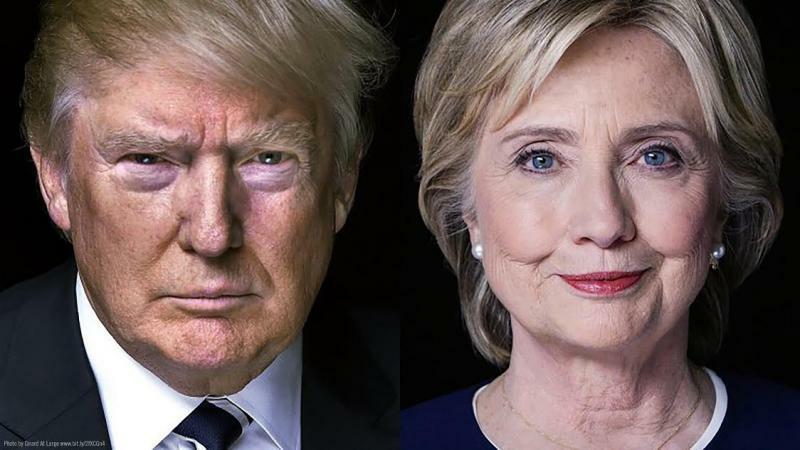 PredictWise, a site run by Microsoft Research economist David Rothschild, aggregates betting market data to predict in real-time who will win the presidency. The logic in Rothschild’s model is this—why rely on traditional polls to unreliably capture the public mood (given the typical margin of error in these polls) when real-money markets can serve as a more accurate indicator of how the election will swing? TCW’s Take: There are many ways to create market-driven models. Fair and Moody’s are both market-driven but have different outcomes. Nate Silver and his team at FiveThirtyEight have made a huge impact on real-time presidential predictions since the 2008 election when Silver’s statistical model nailed the popular vote within a percentage point and successfully predicted presidential outcomes in all but one state. TCW’s take: We are big Nate Silver fans, and what he has done to get people to think about polls, models, and election forecasting has made a difference in how we all look at polling and presidential election predictions. Allan Lichtman has been said to have predicted the outcome of every presidential election since 1984. Rather than relying on indicators such as polling, candidate likeability, or issues, Lichtman’s model draws upon a series of 13 questions that seek to determine the popularity of the party that controls the White House. Prevailing attitudes toward the in-party measured in this model help to determine which candidate will win the next election. TCW’s take: Lichtman’s true-false questions can be viewed as subjective. Lichtman has also wavered in his 2016 prediction, initially leaning toward Clinton early in the year, but now pointing to a Trump victory at the polls. Larry Sabato of the University of Virginia Center for Politics has managed a frequently updated map of how states will cast Electoral College votes to forecast the presidency (and to predict how gubernatorial and congressional races will shape up as well). These projections have been highly accurate, predicting an Obama victory in the Electoral College in 2012 when several pollsters pointed to a Romney win. TCW’s Take: Larry Sabato has broken a lot of ground in his practical approach to politics and really embraced practitioners of politics and modern tactics. Moody’s Analytics has successfully predicted every presidential contest since 1980 by focusing on two-year changes in income growth, home prices, and gasoline prices, among other factors. TCW’s Take: We like economic-based models, but they aren’t perfect. As we mentioned, this model comes to a different conclusion than the market-based Fair Model, though we prefer Moody’s approach. Helmut Norpoth’s model looks at how candidates performed in the presidential primaries to predict how they will fare in the general election. This primary-centric approach has picked the winner of the popular vote in every presidential election since its 1996 inception. The model also considers in-party fatigue among the public, taking into account the likelihood that the opposing party will win if the incumbent president’s party has controlled the White House for two terms. In other words, is the public sick of the current president? TCW’s Take: While this model has been a successful predictor in the past, we don’t find this year’s Republican primary to be a great predictor of the general election, and therefore find this year’s prediction to be unrealistic. Sam Wang of the Princeton Election Consortium runs a statistical model to project Electoral College outcomes in presidential elections. This model relies on state-level polls to provide a snapshot of which candidate would win the Electoral College if the presidential election were to be held today. TCW’s take: If you have not read any of Sam Wang’s writing, you should. We found his recent article on the effect of the Comey letter to be a clear voice in the chaos of electoral noise. The New York Times Upshot model predicts voting trends at the state-level to forecast presidential outcomes, providing helpful visuals to show which clusters of states vote similarly, how those states have voted in prior elections, and how those states are likely to vote this time around. TCW’s take: Yes, of course, we love the New York Times. They have done a really good job of being accurate with this polls plus model. Overall, of these presidential election predictions models, five predict President Clinton and 3 predict President Trump. In general, we think the work of folks to make accurate presidential election predictions should be commended. Hillary is, of course, our favorite contender, but we will see what happens on November 8. Drop us a note if you have other favorite models to predict the presidency. Receive EMAIL UPDATES from The Campaign Workshop blog! Our team is made up of amazing creative, organizational, and political consulting talent committed to achieving political and advocacy goals. We have worked for candidates and causes, big and small, all across the country.